Guess Who needs to pull his pants up? Guess Who played to a house full of empty seats last night because ticket sales were poor? That's shocking. Lil Wayne is pretty hot. The promoter must have done a bad job. have you ever been to a wayne concert? it is freakin pack!!! where are the people? the seats are empty. i thin k he was doing a sound check sandra!!! 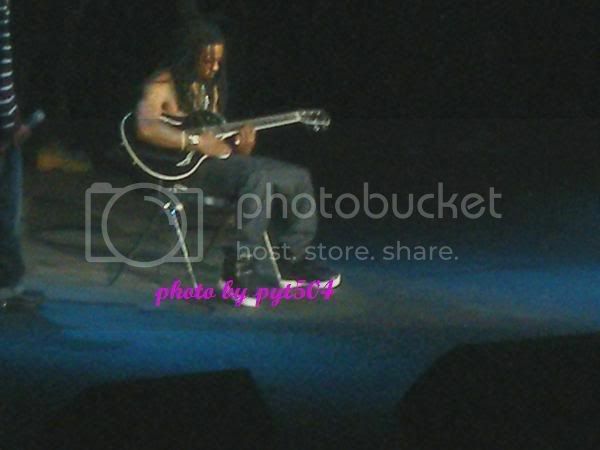 i went to the lil wayne concert last month in Lafayette, LA at the Cajundome and he sold out!! 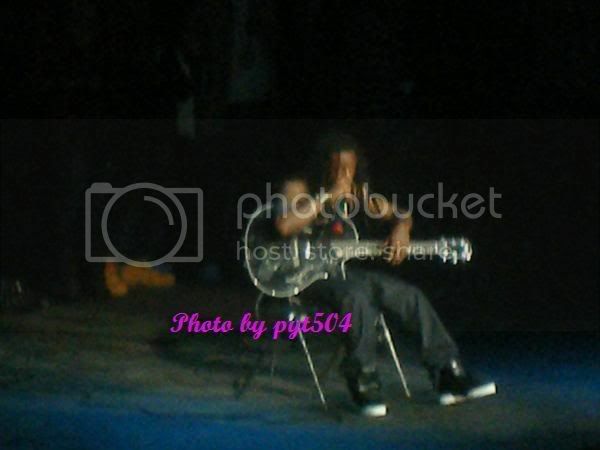 Wayne shocked the crowd by gettin on stage and sitting down and playin the guitar!!! what a shock to everyone. i have the photos on my myspace page... I'll send em to you Sandra. AND THE VIDEO FOR THE CLUB STATING THAT WAYNE WILL BE THERE. MR. PUPP IS A VERY RELIABLE AND SUCCESSFUL PROMOTER IN PALM BEACH. 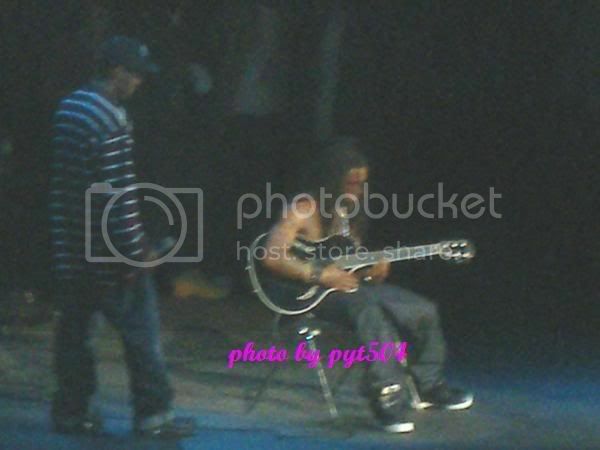 oh well I posted the pics hopefully sandra aprroves them so ya'll can see him play his guitar! Of course its Weezy. Look at all those damn tattoos on his arm. I can'r believe it was an empty house. Wayne is hot right now so why wouldn't anyone want to see him perform. I LOVE his new song!!! I mean, He might be a pint sized tattoo canvas in Nike dunks, but he still selling out shows baby. No doubt about that. Pyt is that the one that is waiting for approval? Don't believe you, you need more people. I need proof! Been to a few shows, and it's always CRAZY! Yea kitty... for whatever reason Sandra didnt approve it yet. Sorry. But the links are there and at the top it is saying Your comment is awaiting moderation. WAYNE, BABY, & SLIM DID COME TO THE CLUB. 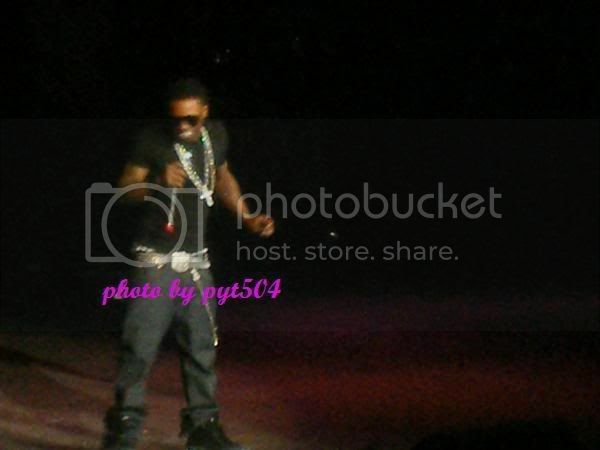 WAYNE PERFORMED. SOLD OUT SHOW!!!! Anyway, everyone guessed this one correctly! Good job. @ PYT, sorry for the delay. The blog holds comments in moderation if there are more than 2 links. soundcheck. gone getcha money lil duffle bag boy. sandra, youre funny. you know good and well.....weezy is gonna have a packed house, he's fire right now.